Posted 4/24/2011 7:08pm by Eugene Wyatt. The Spring has been cold and wet, and that we know by the many times in recent weeks we've left the barn open at night so the lambs and their mothers could take shelter from the cold killing rain driven almost horizontally by the wind from the northwest. When lambs are older and stronger they can take the wet and cold as well as their mothers can given the plane of nutrition that we provide them. 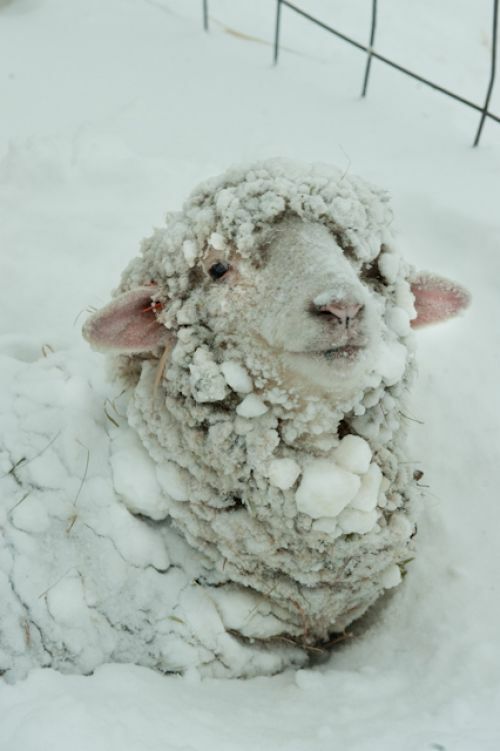 It should be noted that most of our 5-6 week old lambs are able to endure these weather events without problem, but there are always a few who are slow or weak and command the shepherd's attention. These are the lambs that usually get temporary names like "Minny" or "Milky Way" when we talk about treating them, and they are lambs from mothers who have little milk or who are not as attentive to their young as we would like them to be. When you have a flock of sheep—we must have close to 450 ewes and lambs in and around the lambing barn—you tend to pay attention to the lambs who are the 'weakest links' and manage the flock to what those lambs need. 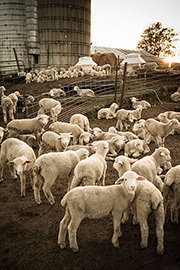 To make sure a weak lamb has adequate nutrition in a communal feeder you might overfeed his hearty fellows, or over care for them, to the financial detriment of the farm. But what's money for?